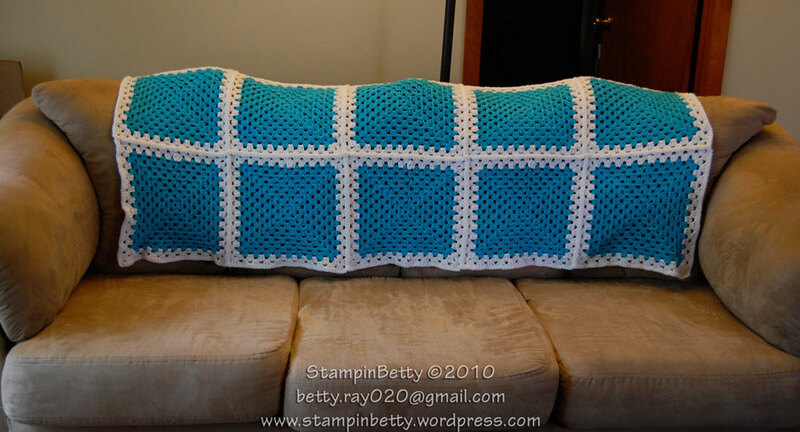 I actually crocheted the majority of this while on trips to visit my grandmother in the nursing home, so I think that might always make this one a little more special than others I may create in the future. Since it is a bunch of really big granny squares it made it the perfect craft to take with me. All I needed was a crochet hook, a ball of yarn, and scissors. I didn’t need to drag the whole thing with me, as I just made the blue squares while visiting grandmother, and then when I was home I would add two rounds with white around each square, and attach them. I had read of the agony of attaching granny squares and how it seemed like an unending task. 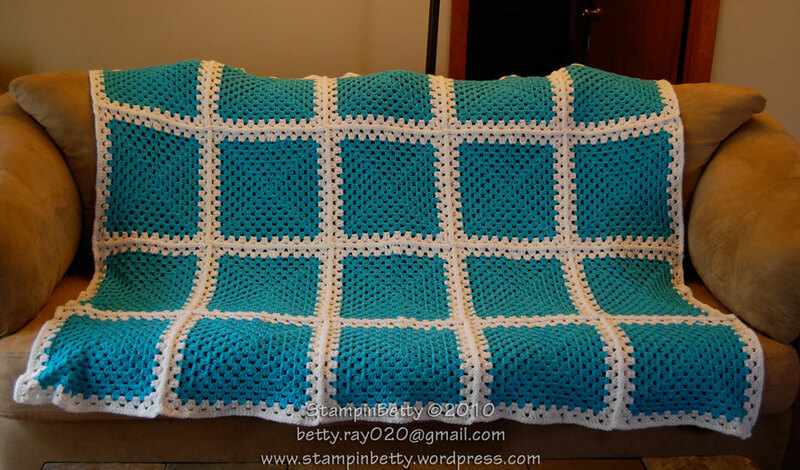 Not wanting it to feel so daunting, I attached the squares as I finished them; that way I wouldn’t have to spend an ENTIRE day assembling the throw once the squares were complete. Then when all the square were done and attached I just added a row of single crochet all the way around the outside to make it look more “finished” since I am not into fringy blankets (that’s just one more thing to lure my dogs to chewing up the blanket).